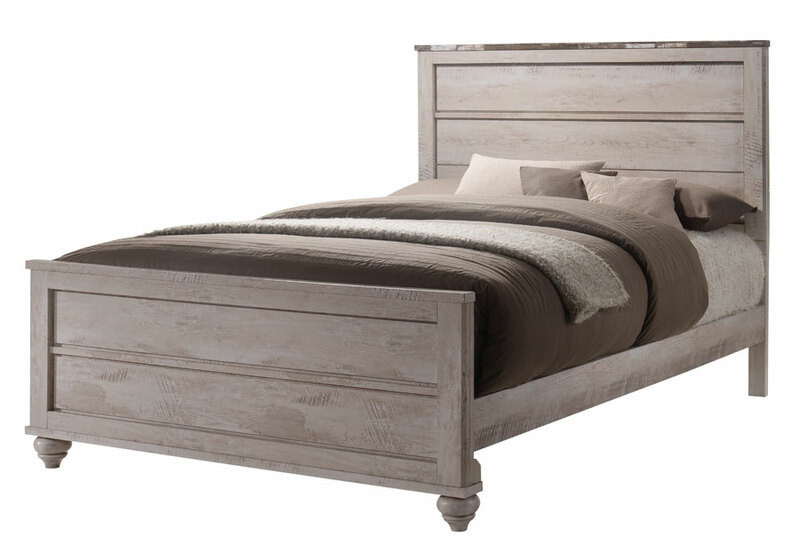 Blending casual and rustic design, this queen bed will be an excellent addition to any home with its easy going style. Plank panels on the headboard and footboard are framed with clean, crisp lines. 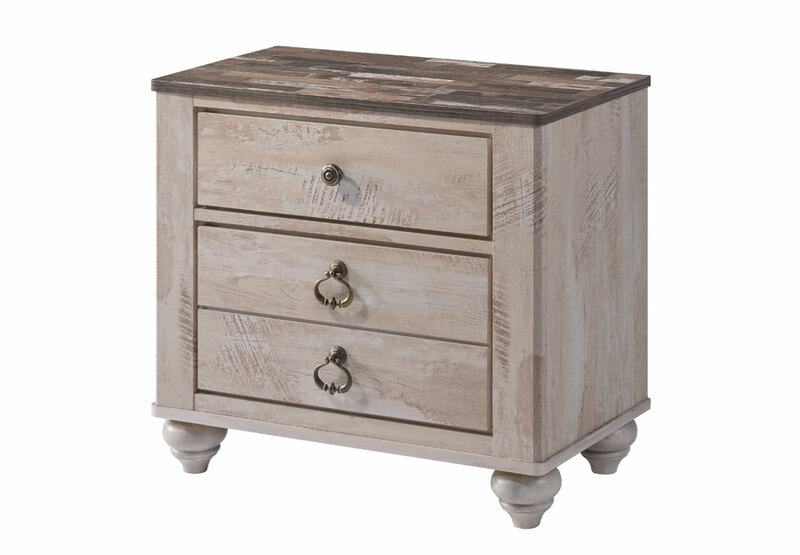 Bun feet and a warm distressed finish add character and flair to this wonderful bed. The top of the headboard is accented with a darker finish than the rest of the bed. 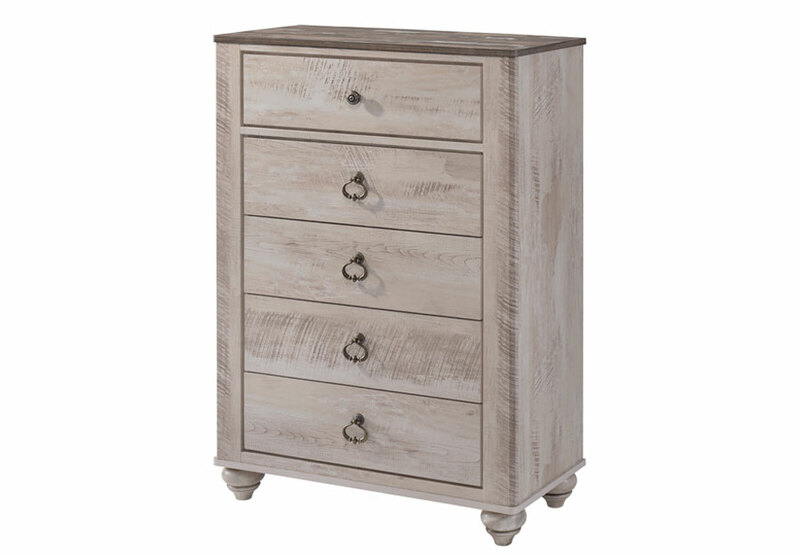 Pair with storage pieces from this collection for a matching bedroom set.